My hair has pretty much stayed the same over the years. It’s always been dark (let’s not mention the ginger months), and although I’ve tried different hairstyles, it has always been long. Having long and dark hair gives you a lot of freedom when it comes to styles. Updos, ponytails, waves, straight, you name it I can do it. Apart from plaits. I’m terrible when it comes to plaits. 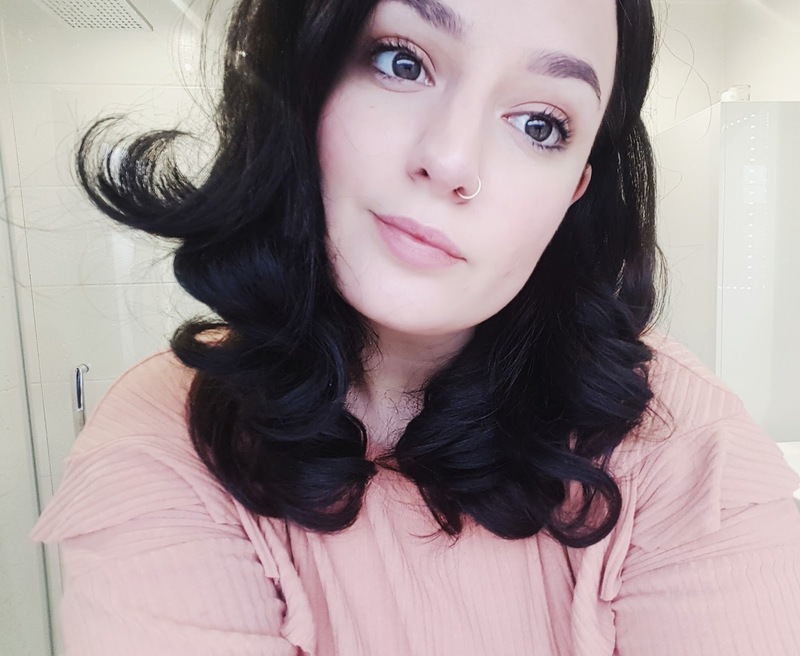 Recently, I’ve had a lot of people compliment my hair and the way I curl it, so I thought I’d write up a post about how I get hairdresser curls at home! If you love a curly blow, like me, you’ll know that it’s nearly impossible to recreate the look at home. However, recently I have stumbled upon Pro Blo. This is legitimately a life saver. 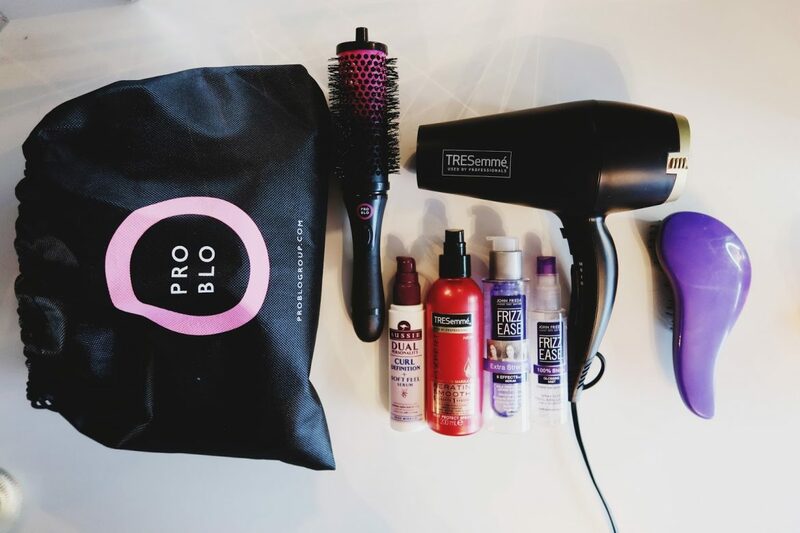 I use the Pro Blo Curl Me Deluxe and I can’t recommend it enough. If you have longer hair, you can also get add-on kits. I start by towel drying my hair and adding in some Aussie Dual Personality Serum. If I want some extra shine in my hair, I’ll use the John Frieda Frizz Ease Extra Strength Serum. I then let my hair air dry for around 30 minutes. My hair is quite thick, so if you have thinner hair, I’d give it 15 or 20 minutes. Once your hair is slightly dry, you can start! 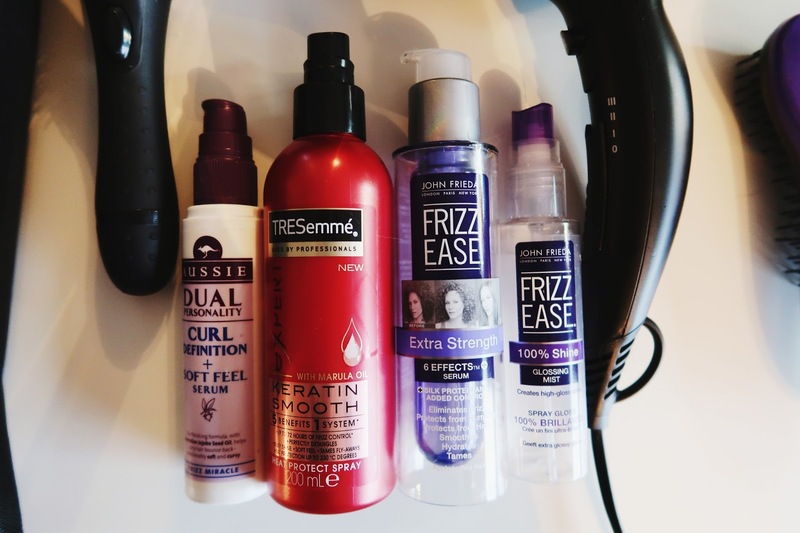 I spray Tresemme Heat Defense onto my hair before putting any heat on it. This is just to prevent my hair becoming frazzled by the hairdryer. I have this irrational fear of losing my hair, and I’m not too sure where it actually comes from. I used to hate how thick it was when I was younger, and I think it’s why I spend money on protective serums etc. Not only have I looked at hair transplant cost, but I even take supplements to help with hair growth (something I might talk about in another post). Once I’ve doused my hair in protective spray, I then set up my Pro Blo and begin by sectioning my hair into quarters. 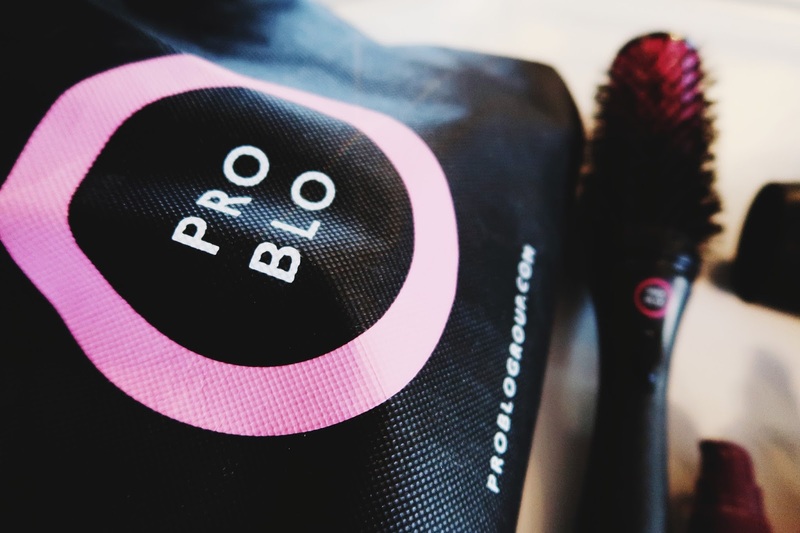 Pro Blo works by attaching curler heads to a brush handle. Once you have curled your hair, you release the handle and secure the barrel in place with a clip. You then continue to curl and grip the barrels into your hair until you resemble a crazy cat lady. Once all the barrels have cooled down, I remove them one by one (in the order I dried them in). I then brush out the curls with a barrel brush and add some Frizz Ease Glossing Mist along with hairspray. I have no preference in hairspray, at the moment I’m using Aldi’s own range of hairspray in extra strong! Below is the end result! If I can’t spare the hour it takes to curl my hair in this way, I curl my hair another way. This produces thicker and tighter curls, but they can be brushed out to achieve your desired look. The way I do this is by washing my hair, spraying heat defence all over and then drying my hair with a hairdryer until it’s virtually dry (if my hair is still damp in places, this is ideal). I then secure foam rollers into place all over my head. If I curl my hair in this way, I tend to have the style messy and draped over my shoulder, so I start on the left side of my head, angle the curls inward and then move around until all of my hair is in place. I use jumbo hair curlers from Home Bargains, but you can get them on eBay too. Once my hair is in place, I’ll sleep in the curlers (they’re spongy so I never notice them) and then take them out in the morning. I brush my hair into my desired style, then spritz with hairspray. Although I have thick hair, these curls can drop after a long day, so watch out if you’re wanting to try this method!